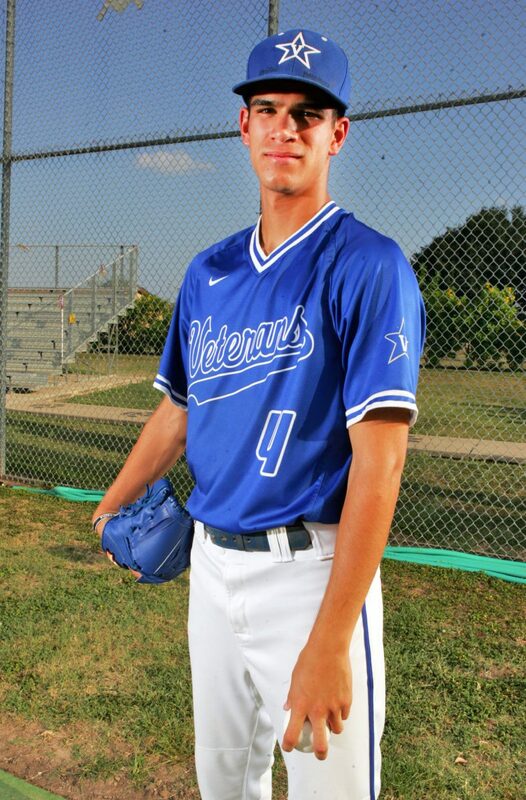 McALLEN — Mission Veterans’ Noel Vela might be superhuman. There is no way to know for sure. It certainly would explain a lot. Like how when his changeup wasn’t working optimally, he added a splitter to replace the pitch in his arsenal. Vela described learning the pitch as “easy,” thanks, he said, to his big hands and long fingers. It would also explain how he managed to put up a 0.94 ERA this season. Vela got it done on both sides of the ball this year. As a pitcher, he went 8-1 and struck out 87 batters in 52 innings pitched. As a hitter, he had a .462 average with 45 RBIs. 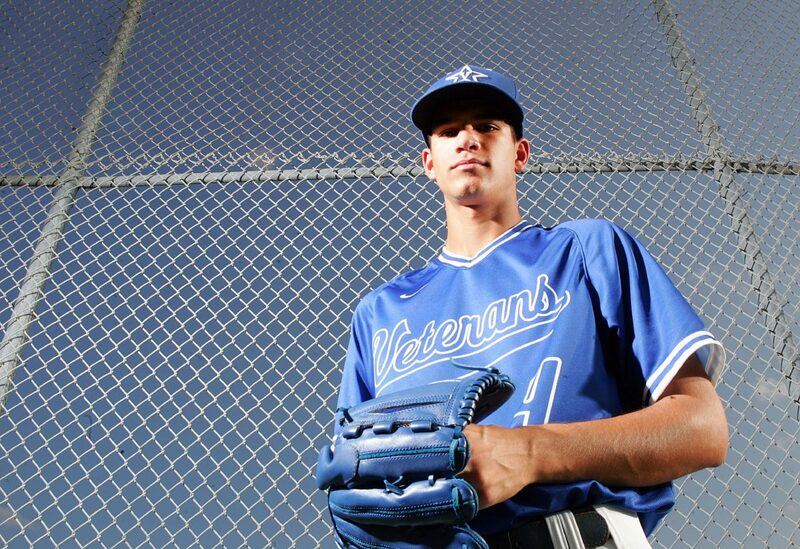 For his play this year, Vela is The Monitor’s 2017 All-Area Player of the Year, earning him the award for the second year in a row. Vela was drafted in the 2017 MLB First-Year Player Draft by the San Diego Padres. He was taken with the third pick in Round 28. Vela is also committed to UTRGV. For Vela, the accolades and achievements this season were secondary. Vela’s main focus was to spend one last year with his lifelong friends on the Patriots. He’s close with many of the players on the team, but the bond between a catcher and a pitcher can be special. That’s true for Mission Veterans’ William Peña and Vela. Another player Vela said he is really close with is senior Eddie Galvan. Galvan was one of a few players from the Patriots who helped Vela prepare for his pre-draft workout with the Padres earlier this month. A moment Vela cherishes from this season was a tournament early in the year that brought the team together. The Patriots opened district play with five straight wins. In the fifth district game, Vets hosted Rio Grande City. Rio Grande City won 2-1. That would remain the only blemish on the Patriots’ record for much of the season. Veterans entered its final game against Valley View at 14-1 in district. But the Patriots had already locked up the top seed in the playoffs and their fifth consecutive district title, so coach Casey Smith sat many of his regulars and played many of his reserve players in the game. Valley View won 6-4, taking Veterans’ final record to 23-4, 14-2. Vela was a huge part of the Patriots’ success this year. He had 38 runs, 12 doubles, 6 triples and two home runs. Vela gave up only seven earned runs on the season. He allowed just 25 hits in 185 batters faced. Vela remembers his two home runs. One came in the bi-district round against Donna High, and the other came on April 13, when Veterans hosted Laredo Nixon. Traditionally in high school baseball, a player will be greeted by his teammates at home plate after hitting a home run. The teammates mob the hitter and usually through some lighthearted jabs at his ribs. “It’s cool to hit a home run,” Vela said. “But it also feels weird because they are all hitting you and stuff. Maybe they know they can hit their friend a little harder because he’s superhuman.